American Pest Control, a local family owned and operated company, introduced the Gene Higginbotham Memorial Scholarship in May 2016. Gene Higginbotham founded American Pest Control in 1971. He valued family, education, and community as top priorities for his company. Mr. Higginbotham passed away August 30th, 2015 and the scholarship was created in his honor by family and employees to continue his legacy. American Pest Control will continue to offer this scholarship through schools in their wide service area across Northeast Georgia and parts of South Carolina. Applicants must have been accepted to an accredited college or university and have a 3.0 or higher GPA. Students can contact their high school counselor for information and applications. 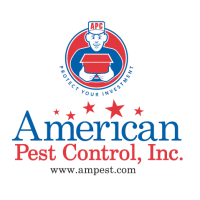 American Pest Control encourages all graduating 2019 seniors to apply!